Order Natural by Nature Peppermint Essential Oil 10ml from the Online Health Food Store UK. Buy Natural by Nature peppermint essential oil - 10ml and other quality Essential Oils safely online in the UK. Peppermint (Mentha piperita) essential oil from the leaves. Natural by Nature's Peppermint (Mentha piperita) essential oil is from the leaves. A fresh, bright, clearing and uplifting oil, which is excellent for inhaling when travelling. Useful for all the family and a must for holidays. It has a sharp and tenacious aroma. As official Natural by Nature stockist in the UK, we sell quality Essential Oils to customers throughout the UK in England, Wales, Scotland and Northern-Ireland. View more products on the Online Health Food Store from Natural by Nature. Where to buy Natural by Nature Peppermint Essential Oil 10ml safely online? Shop at the Online Health Food Store if you are wondering where you can buy Natural by Nature peppermint essential oil - 10ml safely online in the United Kingdom. Our Health Shop is located in the UK and our award-winning independent has been serving customers in England, Wales, Scotland and Northern-Ireland since 1976. You can buy our Essential oils and base oils and blends and other quality Essential Oils online and we post out orders to any UK address. 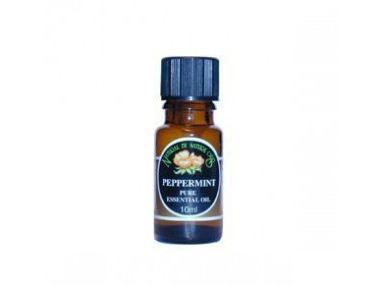 Peppermint Essential Oil 10ml - Natural by Nature peppermint essential oil - 10ml in Essential Oils and Aromatherapy.